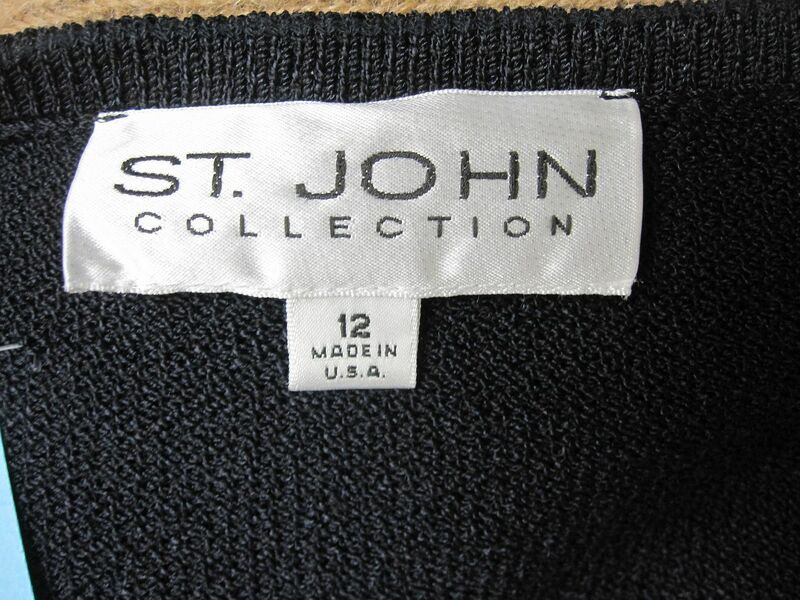 Click the button below to add the St John Knit COLLECTION NEW Black Short Sleeve DRESS SIZE 12 to your wish list. 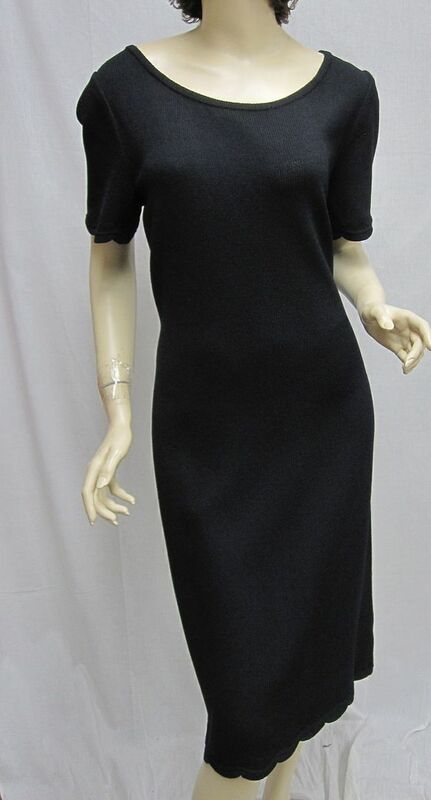 CLASSIC 4 You St John Knit COLLECTION NWOT Black Short Sleeve DRESS SIZE 12 . 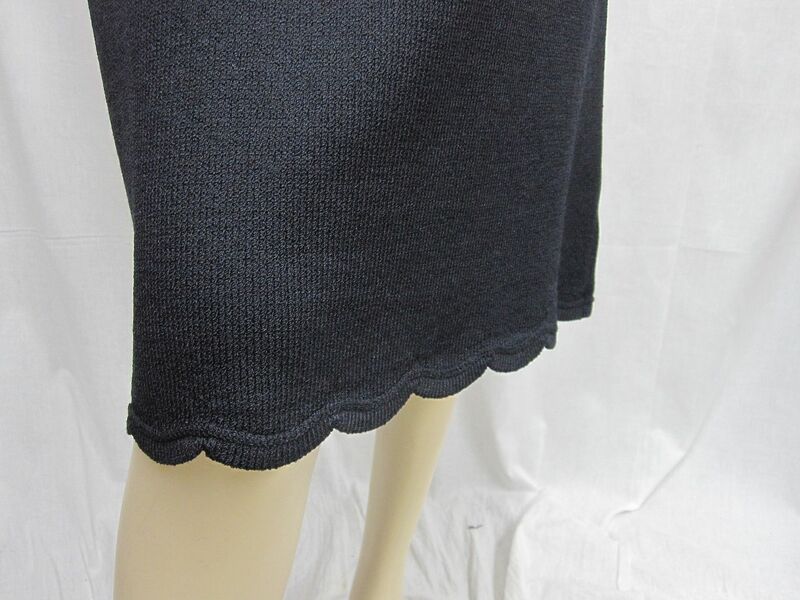 This is a wonderful santana knit dress. It has short sleeves. Features a scallop trim around sleeves and bottom. ADD A BELT AND YOU ARE READY TO GO!! 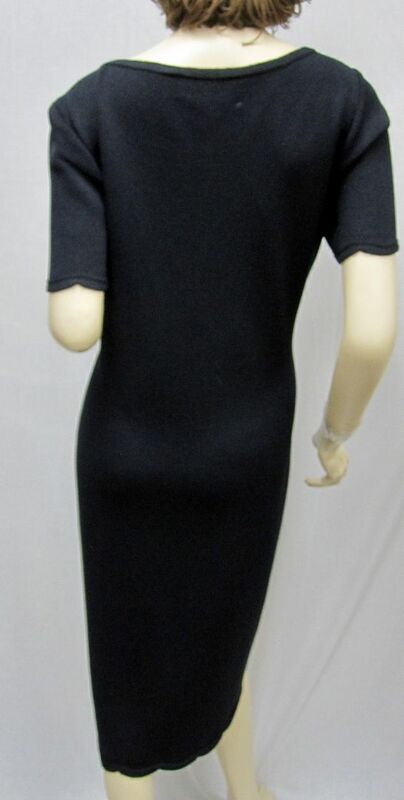 Shoulders: 15 1/2" Bust: 39" Waist: 37" Hips: 42" Length: 43" Sleeve Length: 10"
This dress is new without tags.